TeamSpeak is a conferencing tool available online, nationwide. The program allows groups like the Grange to set up discussions that will allow participants to log on from the comfort of their own homes and be a part of a live discussion with others from across the country. On Thursday February 24th, I had the opportunity to run a “teamspeak conference” for the National Grange. The topic for that conference was the Junior Grange, and how the Junior Grange can contribute to community Granges. The first part of the conference consisted of discussing the purpose of Junior Granges. Junior Granges provide a safe place for children to meet and and grow as individuals. It provides a place for juniors to learn leadership skills, make friends, and be active in their community. In addition, the Junior Grange serves as a great training ground for the juniors to learn Grange ritual, Grange protocol, and a true love and devotion to our organization. The second part of the hour long conference consisted of discussion around how a Junior Grange can help an existing Grange to grow! First and foremost, an active Junior Grange can provide young and energetic Grange members when the juniors turn 14! In addition to the junior members themselves, the Grange has the opportunity to attract the Juniors parents who are not Grange members to join the Grange as well. This way, the Juniors parents will be active participants in the same organization that their children are in. Aside from all the membership opportunities, Junior Granges can provide a Community Grange with energy and new ideas. Juniors and Youth are full of ideas and energy for the Grange,  we simply have to let them show that energy and not shoot down every idea that they suggest. Let them have a chance, they might surprise you! 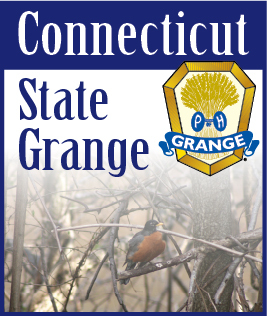 Last but not least a Junior Grange can provide a Grange with a purpose. If a whole Community Grange is actively participating in a Junior Grange, it will help that Community Grange to stay in action. If a Community Grange has a reason to live and to be strong, it will provide more of an incentive for Grangers to grow the Grange and ensure its success. The Juniors will give the current Grange members hope and give them the motivation to preserve the Grange for the future generations! Over all, I believe that the teamspeak conference was beneficial for all who participated. It gave everyone a chance to share ideas, learn from each other, and hopefully use that information to grow our individual Granges. I honestly believe that part of our growth as an organization needs to be in the Junior Grange! Without the inclusion of Youth and Junior members our organization will not be able to sustain itself in the future. With the help of youth and junior programs throughout the State, I know that the Granges here in CT are destined to grow! Victor Salazar is a member of Eureka Grange No. 62 and is recipient of the National Grange’s John Trimble Award.